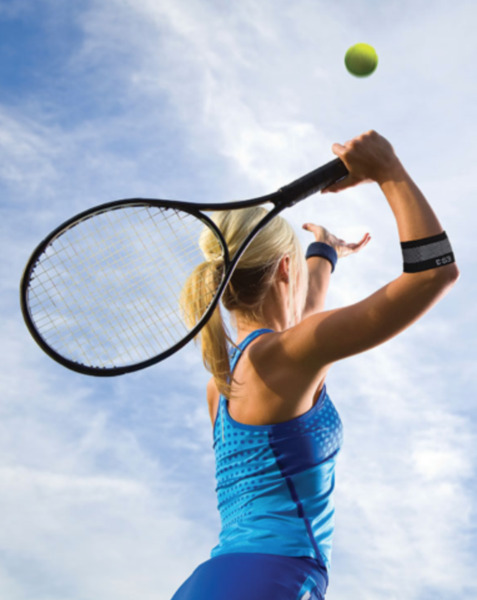 The ES3® Performance Elbow Sleeve combines medical grade orthopedic support with the circulatory safety of graduated compression to treat painful lateral Epicondylitis (tennis elbow) and medial Epicondylitis (golfer's elbow). 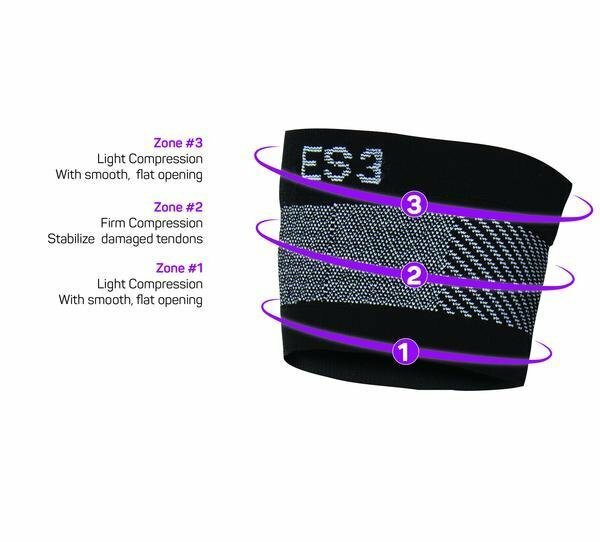 Powered by Compression Zone Technology®, the ES3®wraps the elbow joint in three graduated zones of compression to stabilize the tendons for relief of pain during any activity without slipping down the arm. The ES3® moves when you move so you won't miss a stroke or a swing. 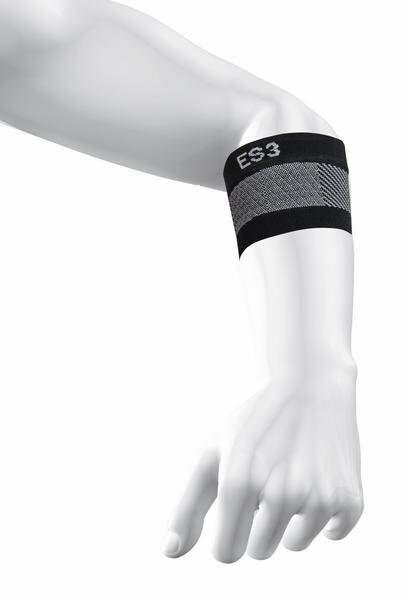 Wear the ES3® with any shirt for all day relief and support.